Wondering what type of enrichment to let your child explore during their growing years? Music could be an investment for the long term. Why? Read on! Young children generally engage in music as play; an exploratory activity, one that is interactive, joyful, creative, and social. Adults can show their support by sharing their joy and delight in the fun of listening and moving in response to music. 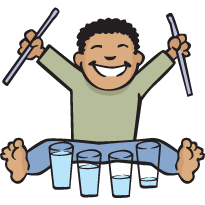 Supporting children’s musical development is more than just pushing the ‘play’ button on a CD player. 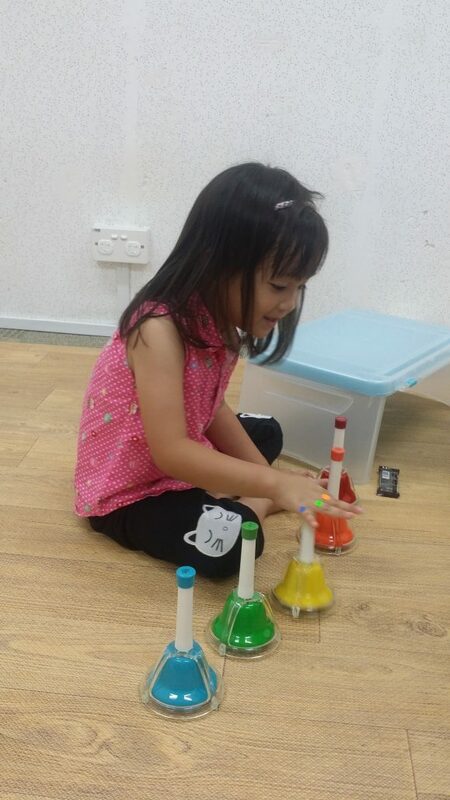 When young children have a rich musical environment along with appropriate guidance from adults, they can learn, for example, to imitate and, with increasing precision, distinguish among rhythm and tone patterns. 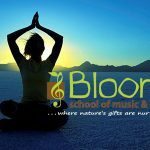 Ready to let your children explore music in their own way? Music could be a non-stressful form of enrichment for your child. 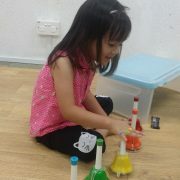 Come on down to our studio to check out our Musikgarten courses, available to children from zero to three years old! Read on to discover what play is about. To you, could it be an enrichment of your child’s holistic development worth investing in? 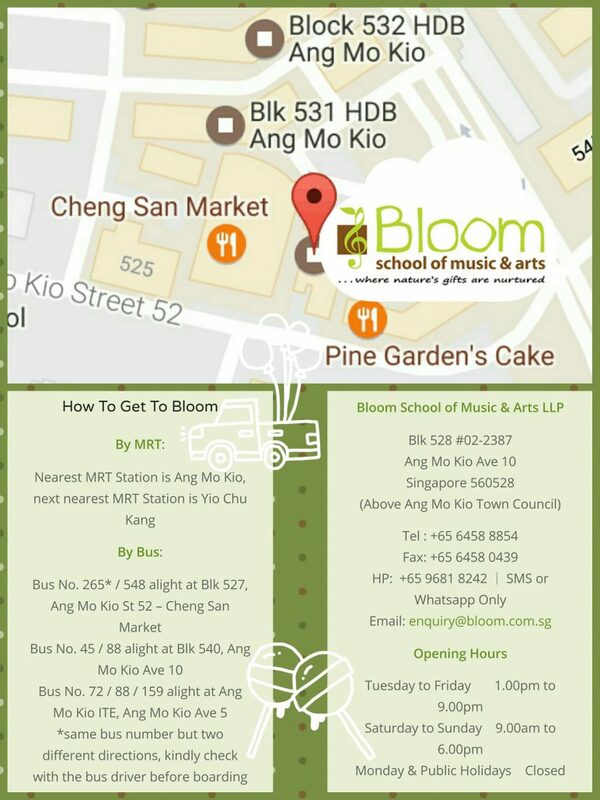 Singapore is a well-known avenue for a good foundation in education. As of November 2016, Singapore is ranked Number 1 globally, for achievement in primary and secondary school Math and Science tests. Its pressure-cooker system has a strong focus on grades instead of a child’s holistic development. Eventually, we will have a lot of ‘book smarts’, and not too many ‘creative thinkers’. 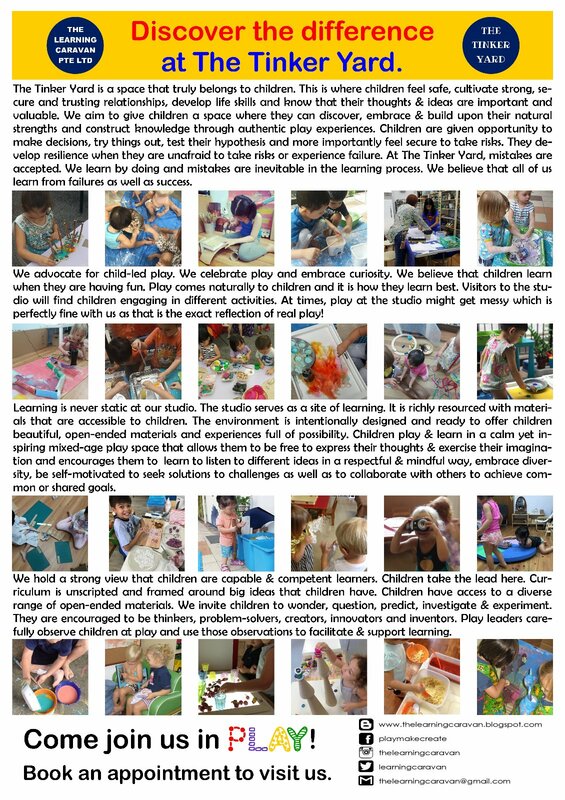 Play is often talked about as if it were a relief from serious learning. 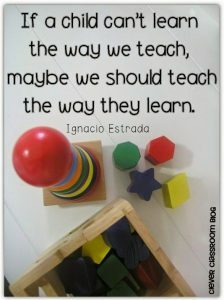 But for children, play is serious learning. Play gives children a chance to practice what they are learning. 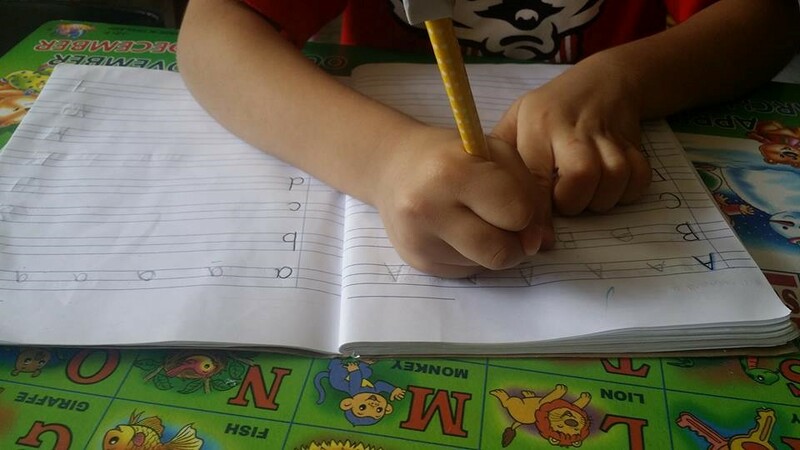 When my eldest child began Kindergarten 1, I was anxious to ensure he was ready for reading and writing. 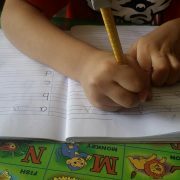 At the beginning of the year, I enforced Homework Time at home, starting with penmanship. I coaxed, screamed, bribed, but I could barely get one page out of him. Heartbroken and at a loss for a better idea, I gave up the idea of homework, and never did a single one for the rest of the year. 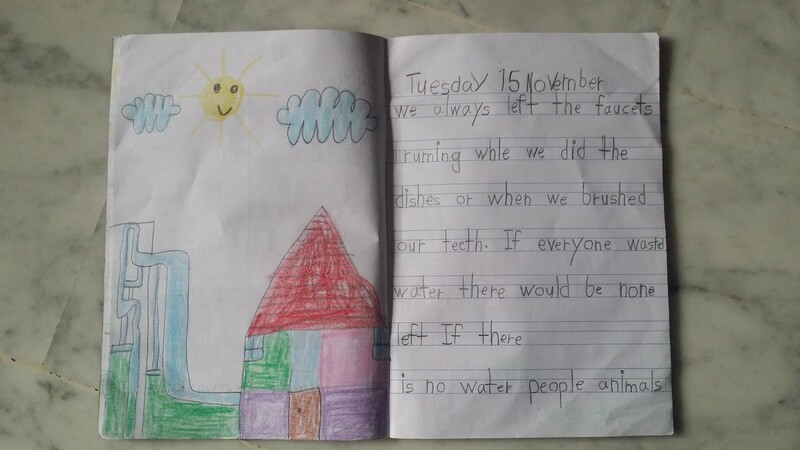 At the end of the year, he brought home work with handwriting that was neat and tidy, a sharp contrast from the time I started homework with him. His teacher shared that he was given the opportunity (during free play) to interact with the books in the library, and almost every day, he would bring home a drawing with a snippet of the story he had chosen. 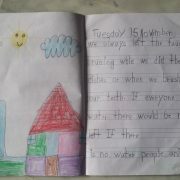 Even as a preschool teacher myself, I gave little credit to child-led activities, until this realisation (while flipping through his school workbook) that he can be entrusted with his own learning, at his own pace. At other times, I always watch in amazement as he plays with his trains. 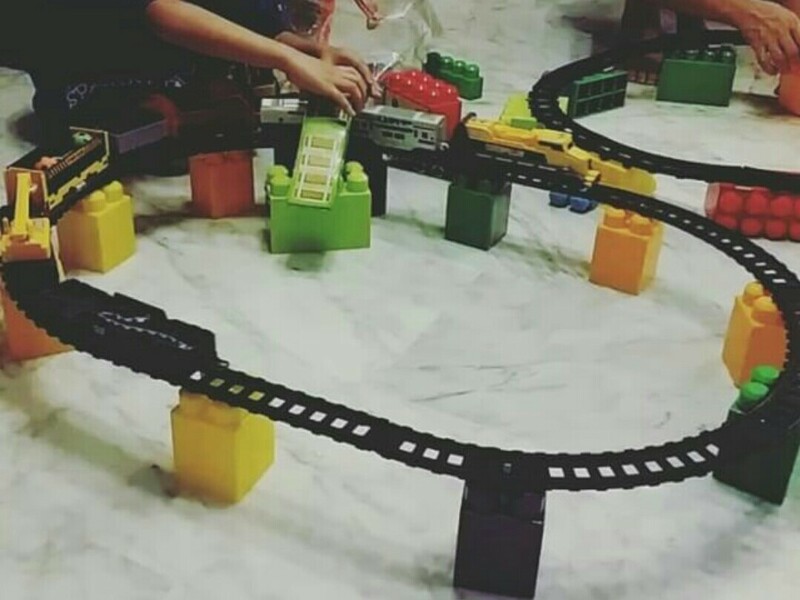 Sometimes the trains are ferrying animals; sometimes the trains are pushing other cars; sometimes the train set is combined with Lego blocks to form a ‘monorail’. 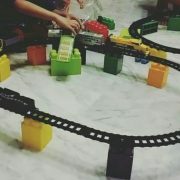 During play, he learns which part of the train travels on the tracks; he questions why a train moves faster by itself than with a load; he assimilates his trains with our MRTs and LRTs. Instead of academic enrichment for him, now he spends his Saturday mornings with play leader Alyna at The Tinker Yard, where he can learn to wonder, question, predict, investigate and experiment. The Theory of Loose Parts was proposed back in the 1970’s by an architect, Simon Nicholson, who believed that it is the loose parts in our environment that empower our creativity and inventiveness. Loose parts are natural or synthetic materials that can be lined up, moved around, tinkered with, designed and redesigned, taken apart and put back in multiple ways. These are materials with no specific set of instructions, which can be used alone, or combined with other materials. Founder of The Tinker Yard, Alyna, started her studio for loose parts and messy play because she believed in the unlimited opportunities that loose parts offer. 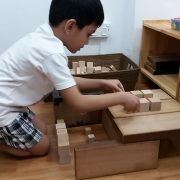 She also believes that children are deserving of a space where they know that their natural desire for play is supported, and that their ideas are going to become, and can become part of a curriculum. The creative learning process that children go through during play gives them the experience to become independent thinkers and problem solvers.